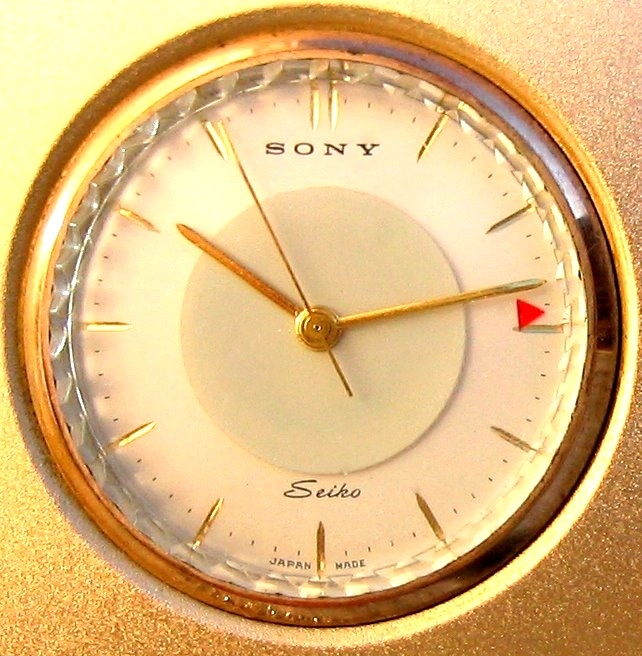 This glamorous Sony TRW-621 was manufactured in Japan circa 1960. It features a beautiful built in Seiko watch with alarm! 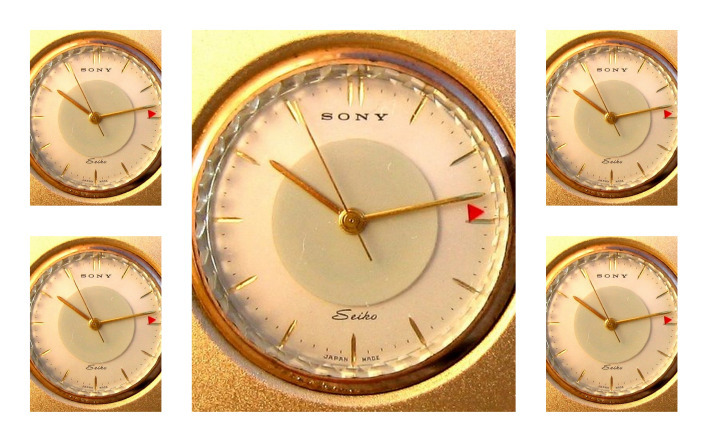 Author Enrico Tedeschi suggests in his book ‘The Magic of Sony’ that the TRW-621 was the first radio with a built in watch. 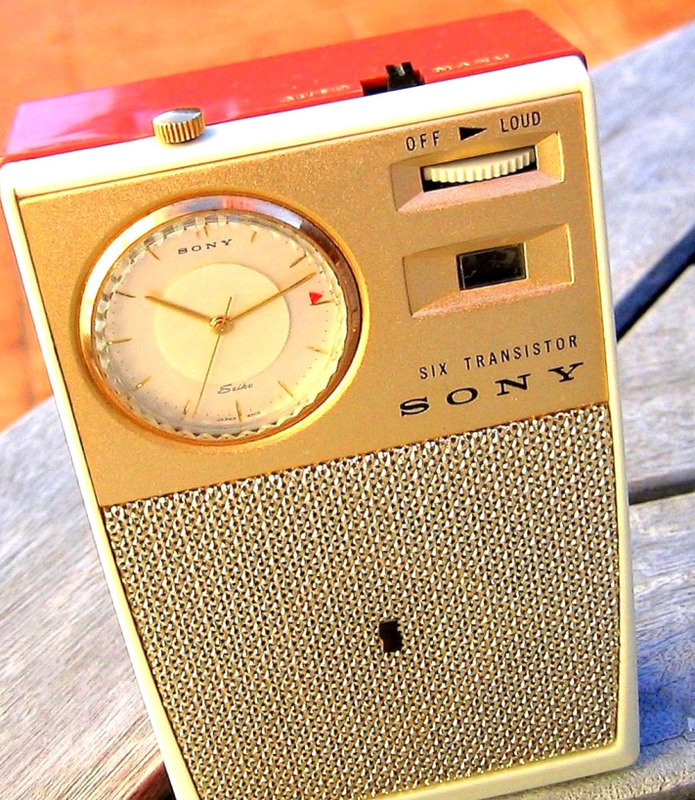 It was probably the first transistor radio with this feature. Apart from the obvious highlight of having a built in watch, this TRW-621 also features a recessed stand for lounging, a gold metallic face and a textured metal speaker grill. The front half of the cabinet is colored ivory and the back is coral colored. 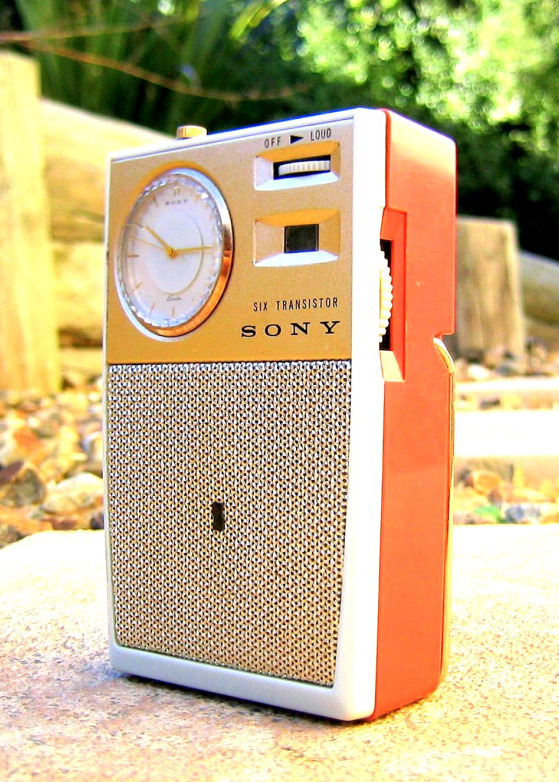 This radio can also be found colored black with a coral back and ivory with a gray back. It measures 4.4” x 2.5” (112mm x 65mm). Ad for this radio taken from a Nov 1961 edition of Ebony Magazine. Inside you will find 6 transistors. The serial number is 38008.